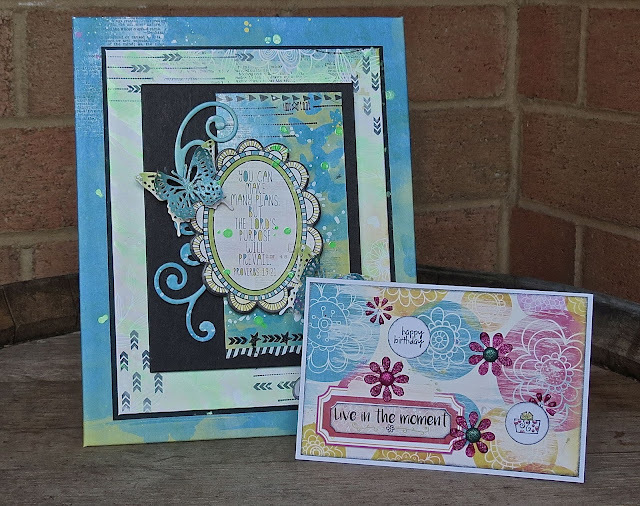 The BoBunny Blog: Wall Decor & Card with Believe! Wall Decor & Card with Believe! My first project to share with you is a wall hanging. 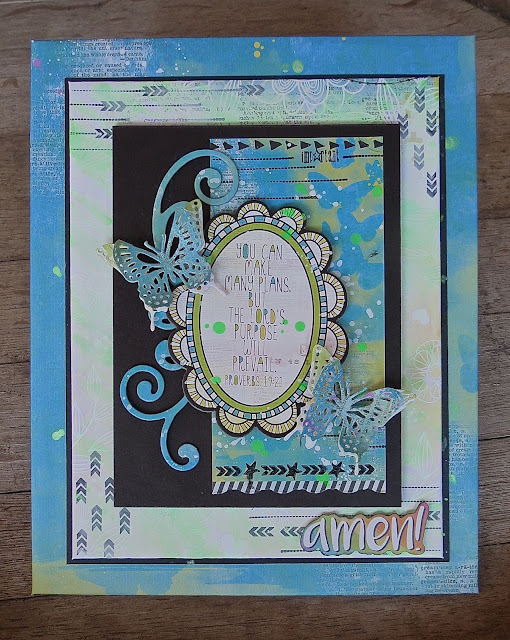 I've created depth by layering chipboard - there's actually six layers to this project! 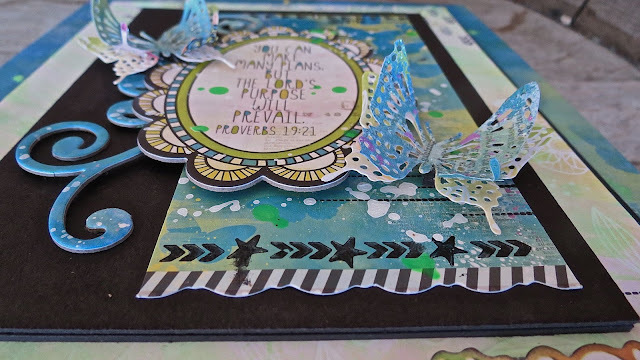 I've also given the butterflies a little glitz using the Sugar Glitter Paste. 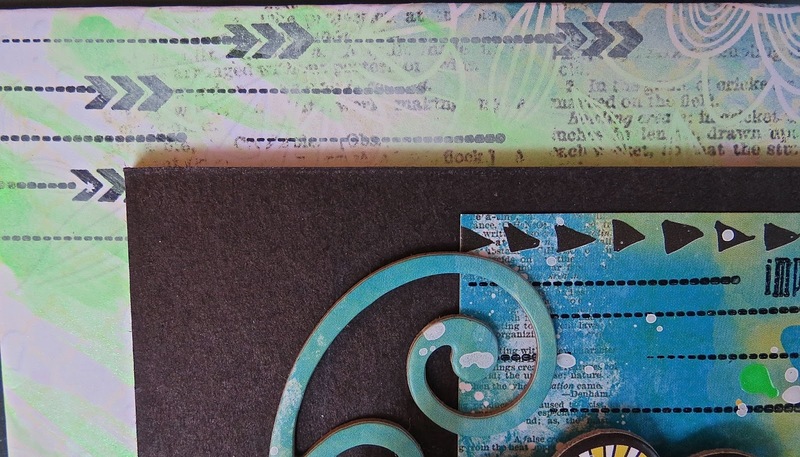 My second project is a birthday card. This time I dry brushed gesso over the back ground paper and then added glitter paste with the new Flower Power stickable stencil. 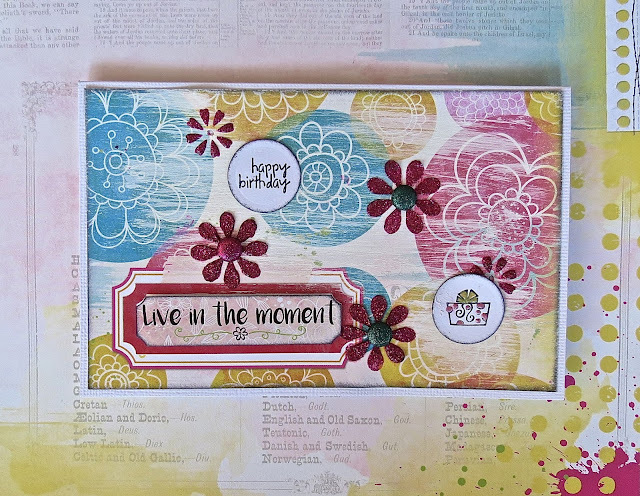 I love how this card reminds me of the 70's - :) thanks for popping by! 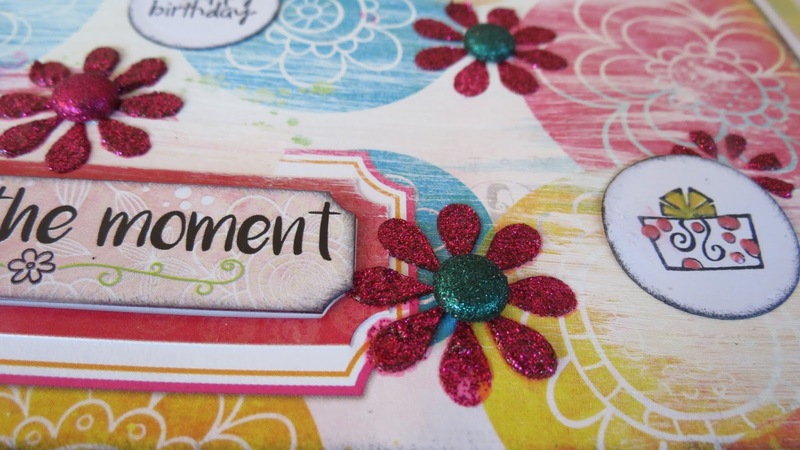 The stamps are an excellent pop of color to your craft and I love the glitter paste :) very pretty!